Breaking habits can be hard. Change can be hard, but it’s a battle worth fighting at times. My life is pretty busy and full, and I find at times when I am carrying more on my shoulders…my family knows it. What seemed life a good idea, might lead to a load of stress that makes it not a good thing. 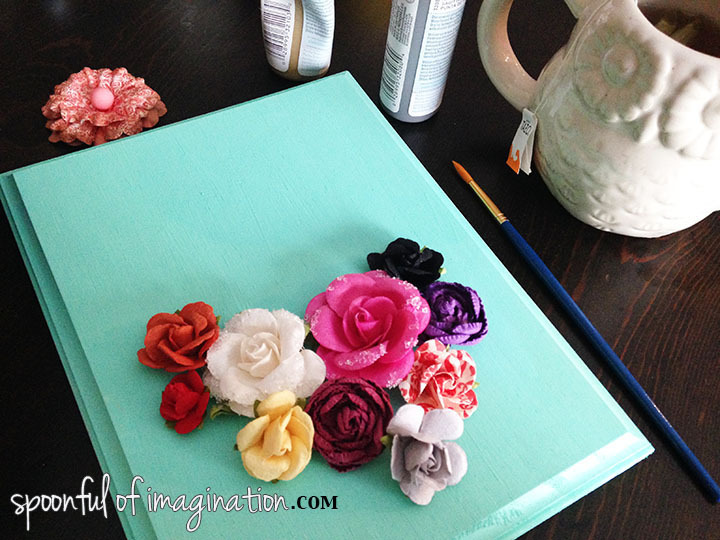 As a dreamer, a crafter, someone with a entrepreneurial spirit, I constantly have new ideas. 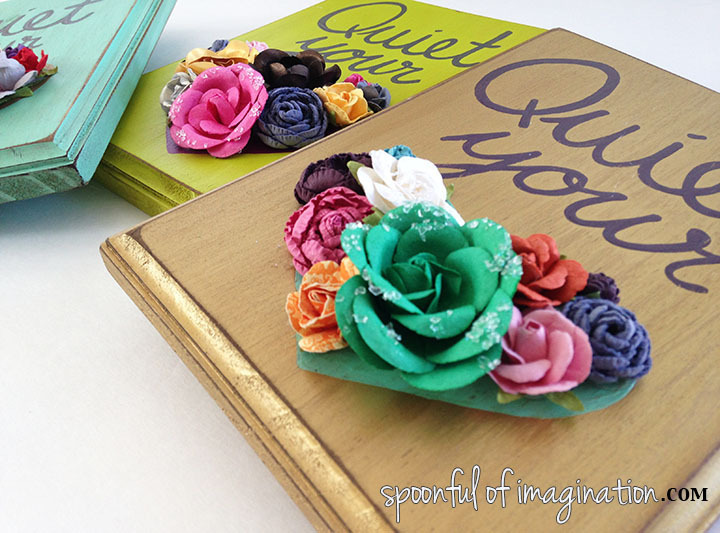 Like hosting craft days (my Spoonful Labs) or sending out craft kits (my Spoonful Tribe). Or maybe designing and selling shirts. Or maybe just attacking a mammoth project like My little Girls bedroom the week we moved into our last house. Although these things aren’t bad, and part of my soul needs to be able to explore, go wild with dreaming, and try new things…I want to carve and shape it more carefully. I am learning that lots of good things turn into not good things if the people you love most carry the weight with you. I want to be a better judge of my time. I want to be more proactive with my schedule. I don’t want my little girl to say “mom, move your phone. I want to show you my picture.” I want to be drawing with her. I want to reclaim my schedule and life. I want the ideas in my head to be with where I am. Instead of thinking of the next thing I need/want to do. I want to fight to be present in all the little moments. My memory is bad, and I am learning maybe it’s because my head is full of lots of little distractions that it’s not remembering the big things. I want to fight for that to change. 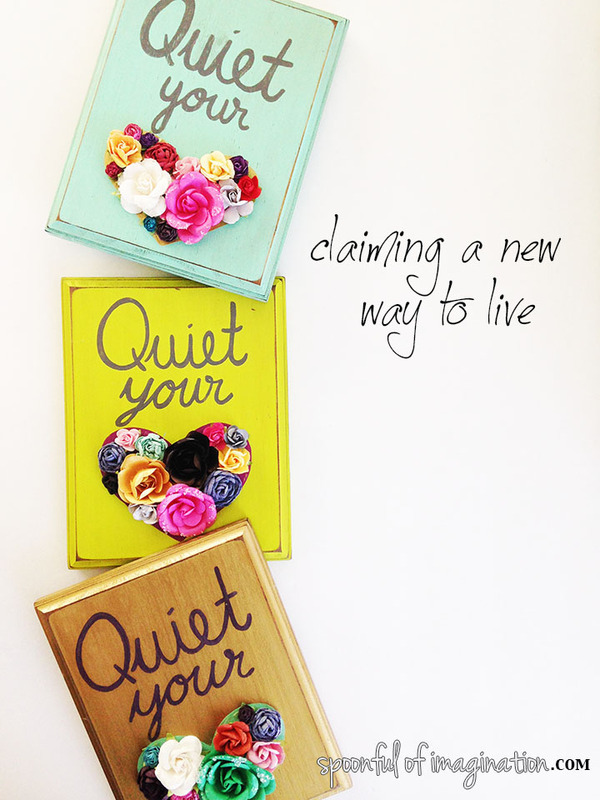 I want to quiet my heart and be present. 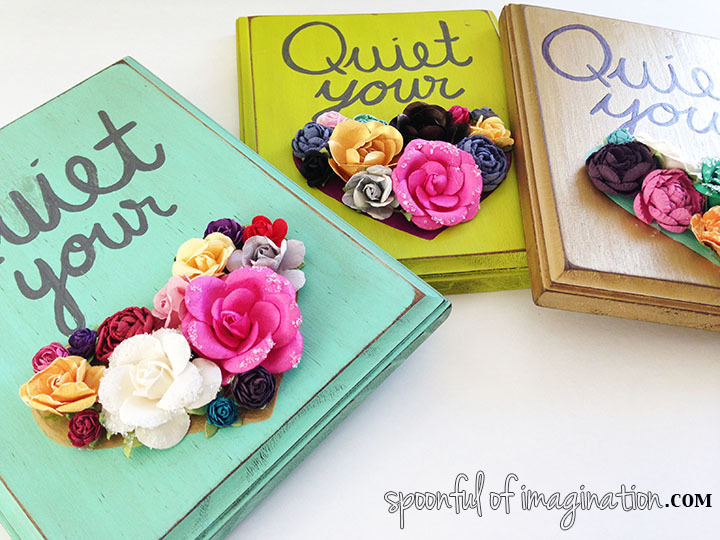 When I think of a quiet heart, I don’t think of one that is subtle or timid. I still think of a bold, dreamer…but with more awareness and intentionality. I want to be aggressive and passionate about my actions and what things define me. When you ask my kids what is something they love about me, one of the first things they say is “i love her crafts”. I’m glad they do, but that answer always comes with a little sting. They say other things, but I want those other things to jump higher to the first things off their lips. They know they are my heart and my priority, but I want them to feel it. So, I will continue to fight for a quiet heart. 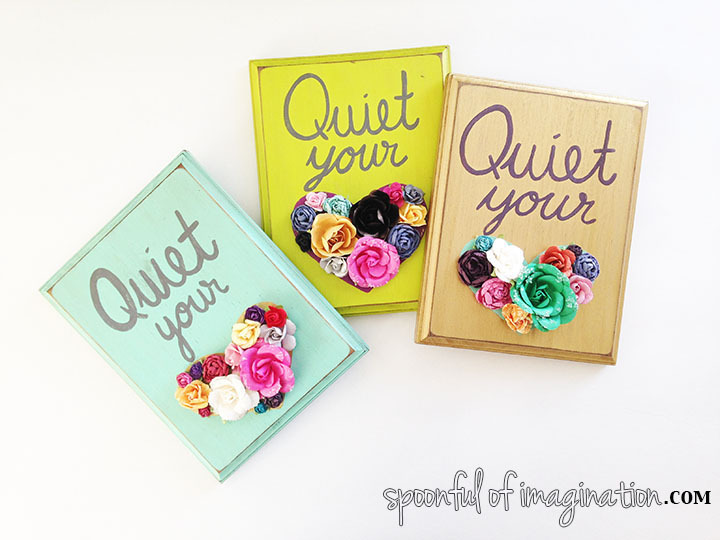 In my farewell to 2014 post, I gave some ways I hope to gain some quiet this year. I’m excited to say, I’ve gotten up two days in a row before my kids! Yes, change is possible. I got up in a quiet house. Today, I hope to put that phone down until quiet time or tonight. Less scrolling and more talking. 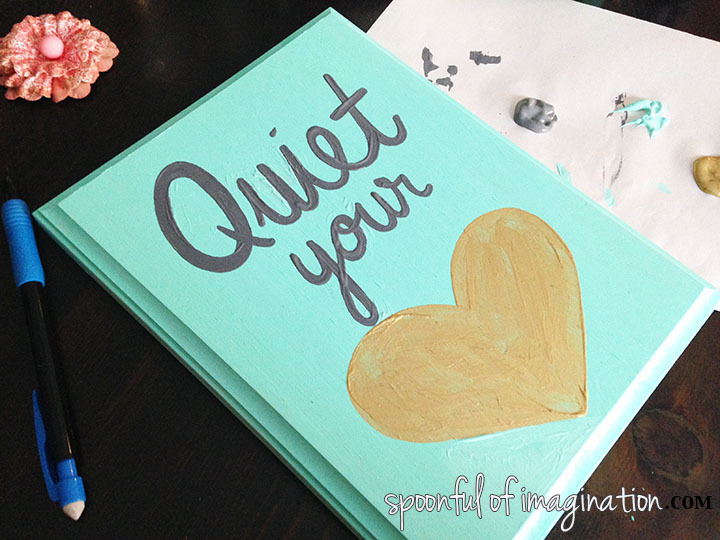 If you are like me and desire some quiet in your heart this year, make yourself a reminder! Write it on a post it. I just recently learned of a book that goes along with this mantra, The Best Yes by Lysa TerKeurst. I ordered it here (<affliate link) and am excited to start reading it!. Have you read this book? Want to order it and read it along with me? As always, thank you for being on this journey with me! 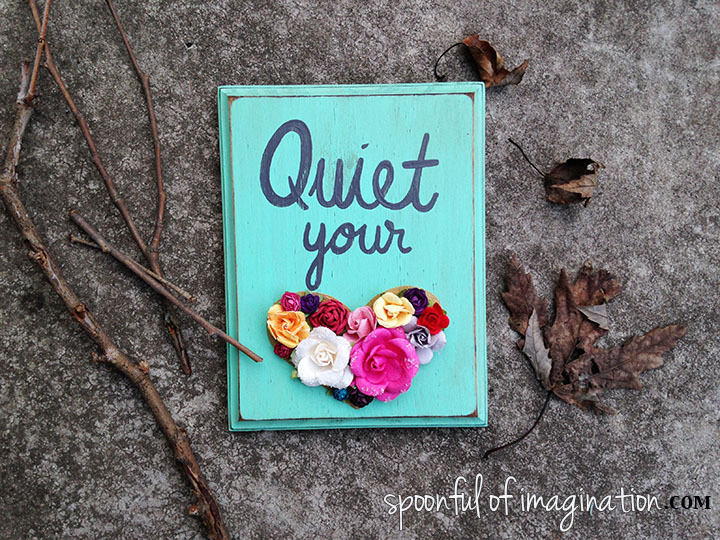 I pray you can use your imagination and carve out some quiet time in your heart and schedule this week for you..so that you may be the best version of you. Ps. I just listed these signs in the shop, if you would like one! Thank you for all your support!